A pending $500,000 civil lawsuit alleges negligence, nuisance and trespassing and has resulted in a temporary, court-ordered injunction – all because one man smoked marijuana in the privacy of his own home. Generally, one’s home is considered sacred in terms of privacy. And that’s the argument being made by the 53-year-old defendant, who argues he should be able to do as he pleases inside his own four walls. His neighbors next door, on the other hand, allege his habits are a danger to their health and that of their young daughter, and that he has made it difficult to enjoy their newly-renovated home. The two properties share a common wall, and they say the marijuana smoke creeps into their daughter’s playroom. Additionally, the woman is pregnant with the couple’s second child, and fears the second-hand smoke could pose additional health hazards to the fetus. The neighbors said they tried to handle the matter out-of-court, but defendant refused to curtail his activities, which are recreational and not medical. Such activity is now legal in D.C. While the matter is pending, a judge issued a prohibition on smoking of any substance inside the home. Although the case is garnering attention because of the fact that it involves marijuana, there are an increasing number of cases in which smokers and non-smokers are facing off in court. For example, in Orange County two years ago, a jury decided in favor of a homeowner who sued a neighborhood association that reportedly failed to resolve a dispute among neighbors over secondhand smoke. Plaintiff was awarded $15,000. Before that in New York, one neighbor sued another for smoking cigars. Although plaintiffs initially sought $2 million in compensation, saying the smoke permeated their luxury apartment, the dispute was ultimately settled by defendant agreeing to a $2,000 fine for every time the neighbors smelled the stench of cigars. While our Los Angeles marijuana lawyers aren’t surprised a dispute between neighbors is being handled by a judge, it is somewhat disconcerting that a judge has determined a person can’t smoke within the confines of his own home. The ruling runs contrary to the traditional sentiment that one’s home is one’s castle. 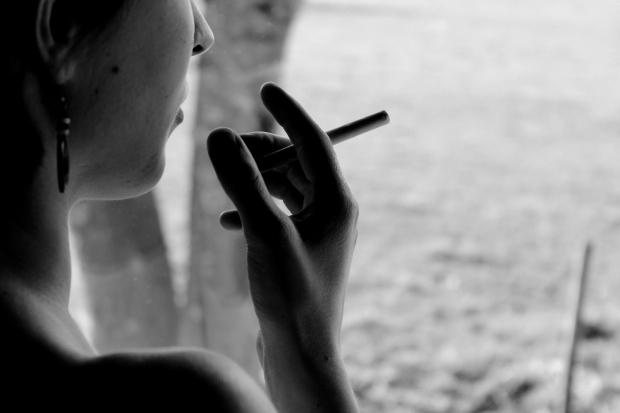 The imposition on smoker’s rights is expected to face significant challenges. Here, the injunction remains in place until either a follow-up decision by the judge or a trial. The latter isn’t scheduled until autumn. In the meantime, homeowner says he’s been forced to leave his home and his property to smoke. It is illegal to smoke the drug in public. Plaintiff’s argue the activity is no longer “private” once the smoke enters their home. An inspection report on the home indicated there were cracks in the shared wall between the two dwellings. Additionally, decay in defendant’s chimney caused smoke filter between one residence to the other. Plaintiffs have set they will drop the lawsuit if defendant will cover the cost of these repairs so that the smoke does not seep from one home into the other. However, defendant property owner said there are questions about whether the extensive renovations plaintiffs conducted to their home prior to moving in may have resulted in some of the damage. There is also concern in such a situation, plaintiffs would have too much control over the extent of repairs conducted, and whether it is done according to their standards.